I hope you’re all enjoying gorgeous Fall weather! 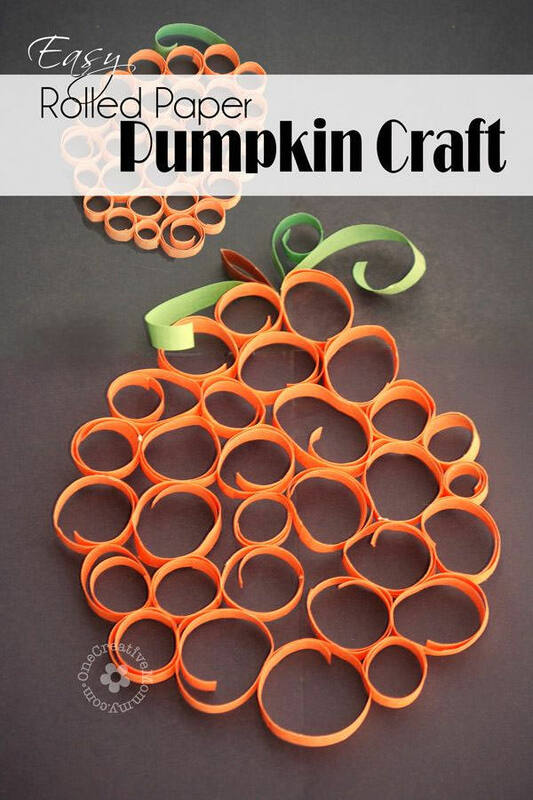 The leaves are just beginning to change in our neck of the woods, so it’s time for Fall crafting. 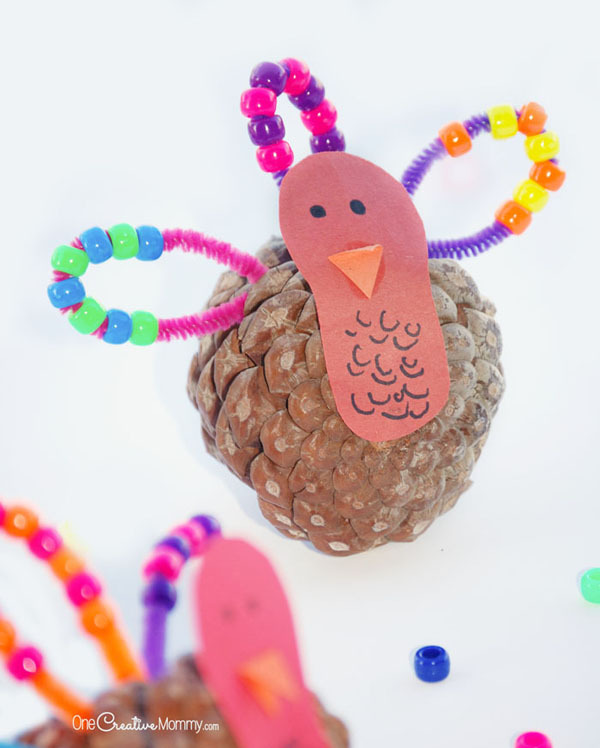 I have my kids’ teachers to thank for this adorable turkey craft. The original was created by Boo when she was in kindergarten. Since all of the feathers have definite color patterns, I’m sure her wise teacher used it as a fun way to practice patterns. Every year, our family collects fall leaves and pinecones to decorate our home. 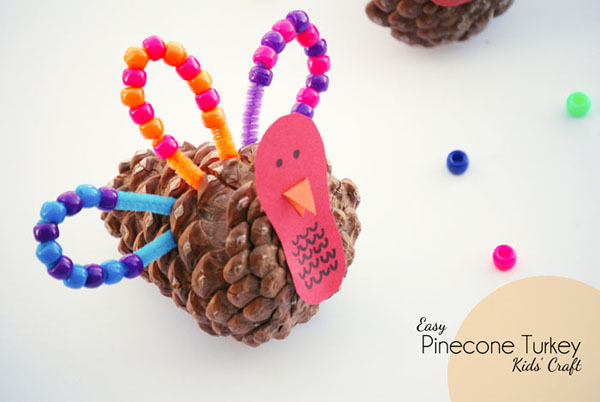 This year, we put some of those pinecones to use to create some fun turkeys. 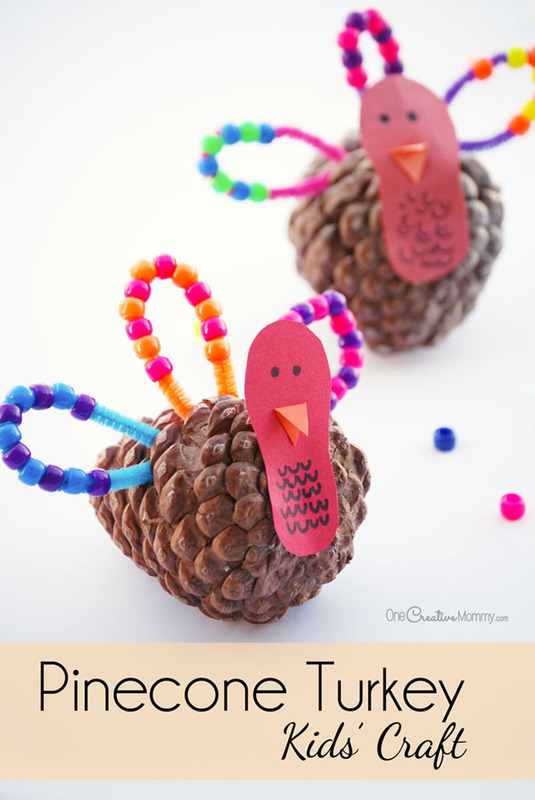 The adorable turkeys are great just for fun or to help little ones practice patterns. 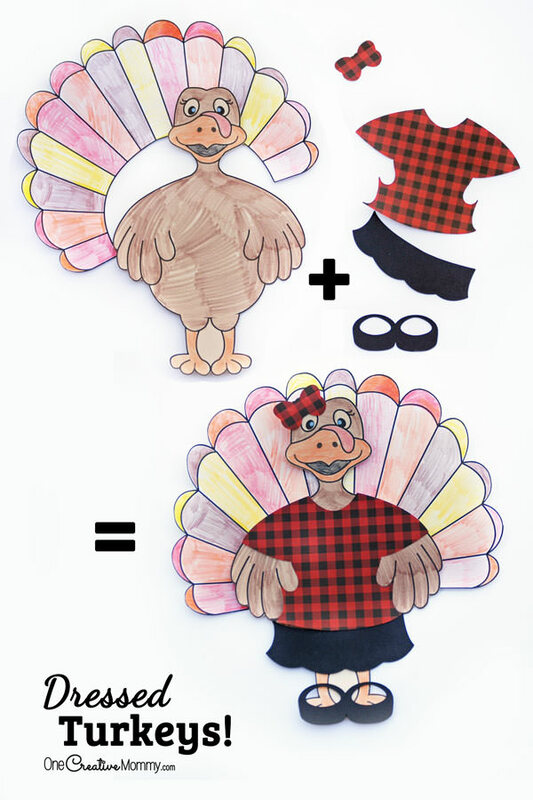 Cut a shape for the turkey’s neck and head from the brown or red paper. It should be shaped like a footprint–with the top slightly larger than the bottom. Draw two eyes on the face and “U” shapes on the neck of the turkey. Glue on the turkey’s beak. Bend the pipe cleaners in half (with rounded tops) to create the feathers. 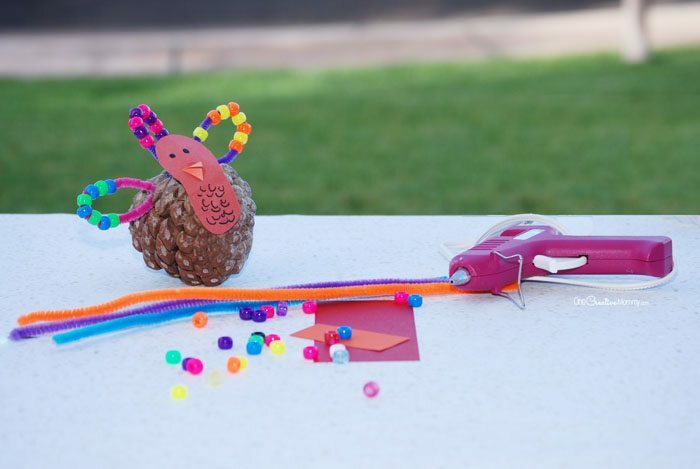 Attach the face to the bottom of the pinecone with craft or hot glue. All done! Easy peasy, right? The kindergarten turkey is below. Pretty good for a five-year-old! I originally shared this post last year on Juggling Act Mama. If you’re looking for great ideas, tips and recipes. Ang always has lots of great ones to share! Such a fun idea! I will definitely try this with my boys soon! Thanks, Sydney! I hope they love it. My girls sure enjoyed it. What a fun idea! My kids are obsessed with collecting pinecones so now we can do something with them. Thanks for sharing! Thanks, Liesel. It’s always nice to find something to do with all of those collections! Now, if I could only find something to do with the piles and piles of “pretty” rocks we have laying around! Thanks, Alia. I think so, too. 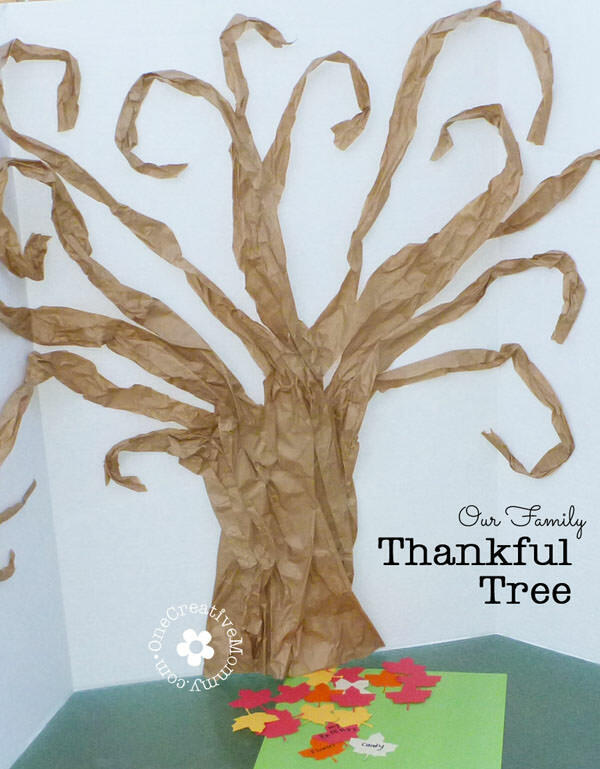 Let the kids make some turkeys while you cook the turkey! Really fun idea! We have tons of pine cones at our cabin. Guess the grandkids will have a craft to make on our next trip! Thanks, Linda. Lucky you to have access to so many pinecones. I love them for crafts and decorating. You seriously have the cutest ideas. I need to search out some pine cones now! Thanks, Mandy. The kindergarten teacher gets the creativity for this one. My daughter brought this home from school, and we copied! These are so cute. And a GREAT way to use up a few of the fifty million craft beads we have at our house! These turkeys are so cute! I like that you can break it up into smaller activities too- first bead the pipecleaners then they can come back and finish them up. Awesome. Thanks, Camille. That would definitely work. For those little ones with shorter attention spans, you could definitely break this up.